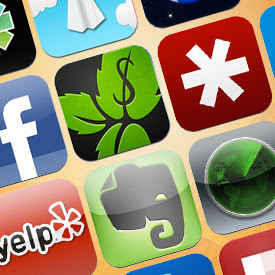 LastPass received top honors today when PCMag declared our iPhone app a "must-have". Featured alongside giants like Mint and Evernote, the article highlighted the productivity and security advantages for using LastPass on your iPhone, not to mention the convenience of syncing across all of your other devices so you'll always have access to your most up-to-date data. To top it off, the article re-iterated that as an overall service, LastPass Premium "scored a rare five out of five stars in PCMag's review and easily earned our Editors' Choice." If you're interested in LastPass for iPhone, our app can be found in the iTunes store and is currently part of our Premium upgrade, which gives unlimited access to additional features for $12 per year. We're proud of the recognition, and want to take the opportunity to say "thanks" to our awesome users for their ongoing use of LastPass. We continue to strive to provide a top-notch service that gives you convenient access to your data where you need it, when you need it. We have more great changes in store for our iPhone app as we continue to add improvements and updates.